Many phenomena observable in our everyday life indicate that light propagates rectilinearly. Rectilinear propagation is one of the most apparent properties of light. It serves as an argument that light is a stream of particles. However, some optical phenomena and experiments indicate that the law of rectilinear propagation of light does not hold. They can be satisfactorily explained only on the assumption that light is a wave . Historically, the diffraction effects are associated with violation of the rectilinear propagation of light. The strong diffraction effects appear if the transverse dimensions of the beam of light are comparable to the wavelength. They are best appreciable for long waves such as sound or water waves. In optics, the diffraction effects are less apparent. They are responsible for the beam divergence in the free propagation and for penetration of light into the region of the geometric shadow. In the modern treatment, diffraction effects are not connected with light transmission through apertures and obstacles, only. 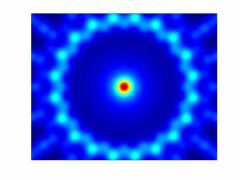 Diffraction is examined as a natural property of wavefield with the nonhomogeneous transverse intensity distribution. It commonly appears even if the beam is transversally unbounded. The Gaussian beam is the best known example. In optics, nondiffracting propagation of the beam-like fields can be obtained in convenient media such as waveguides or nonlinear materials. The beams then propagate as waveguide modes and spatial solitons, respectively. In 1987, the term nondiffracting beam appeared also in relation to the free-space propagation. Since that time, nondiffracting beams have been intensively investigated from both the theoretical and experimental point of view. A number of practical applications have also been proposed. Physical origin of the diffraction phenomena and concept of the nondiffracting propagation. 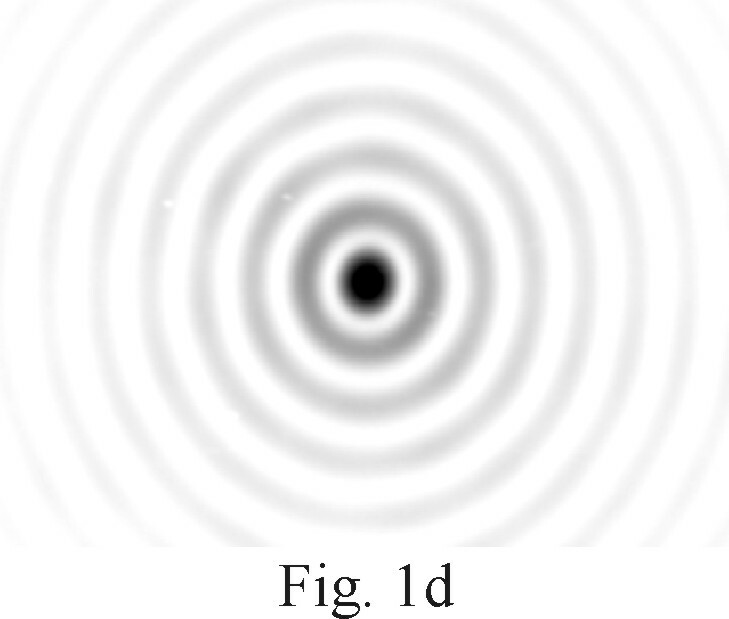 Description and properties of the nondiffracting beam-like fields. Experiments on the nondiffracting beams. Physical applications of the nondiffracting propagation. Technical applications of the nondiffracting beams. 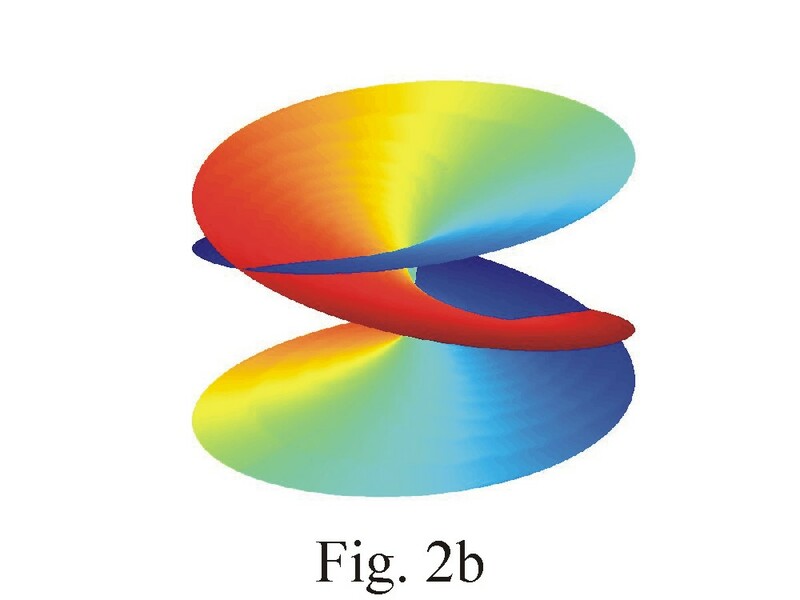 Concept of the nondiffracting propagation of the stationary beam-like fields in free-space. Properties of the nondiffracting beams. Theoretical concept, description and experimental realization of the stationary pseudo-nondiffracting beams. 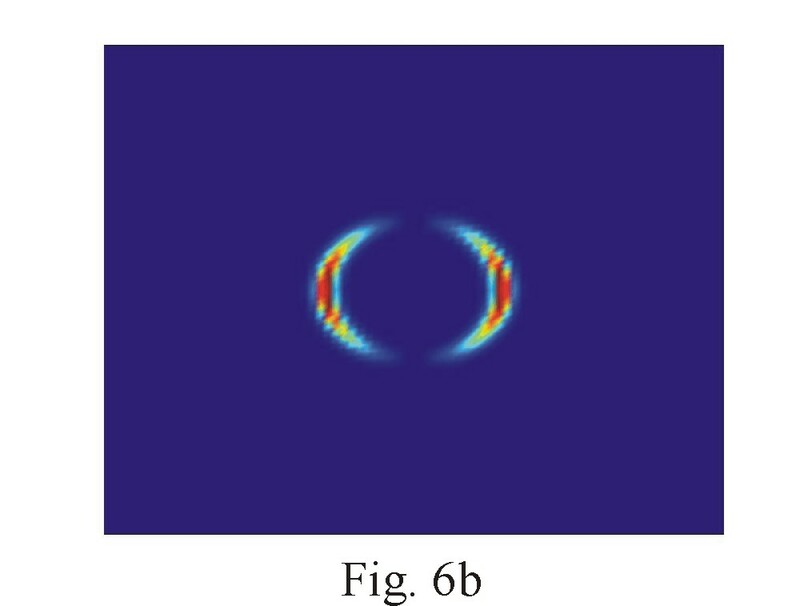 Theoretical explanation and experimental verification of the self-reconstruction of stationary light fields. 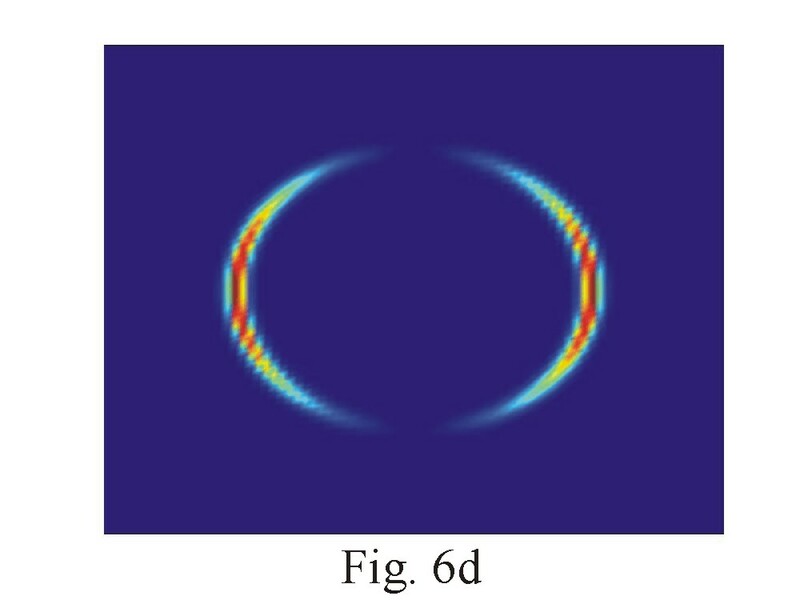 Propagation of superluminal fields and nondiffracting pulses. Self-reconstruction of the nonstationary fields. Thought the term "nondiffracting beam" is controversial, after introductory discussions it has been fully accepted in optics. It denotes the class of exact solutions of the homogeneous (source-free) Helmholtz equation. In this case the use of the term "nondiffracting beam" is justified because its transverse intensity profile does not change under free propagation. In real situations when the beam generation is taken into account, the diffraction effects cannot be overcome and only approximations to the nondiffracting beams can be obtained. Such beams are usually called pseudo-nondiffracting beams. The propagation properties of the ideal nondiffracting beams appear as a consequence of the composition of their angular spectrum. It contains only single radial frequency so that the relative phases of the plane wave components remain unchanged under propagation. The angular spectrum can be described mathematically applying the Dirac delta-function. In geometrical interpretation the angular spectrum represents a coherent superposition of the plane waves with the wave vectors covering the conical surface. The superposition can be discrete or continuous. The amplitudes and relative phases of the superposed plane waves are arbitrary. Due to this fact an infinite number of the nondiffracting beams with different transverse intensity profiles can be obtained. 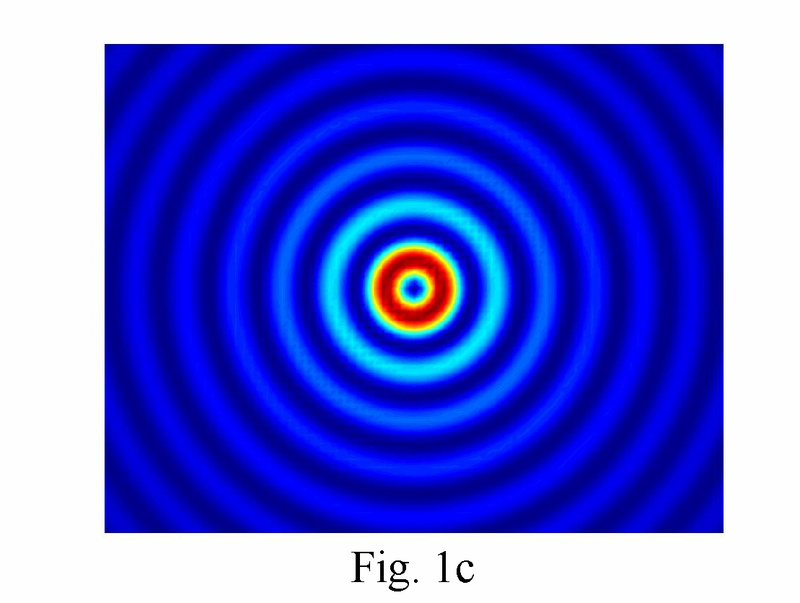 Examples of the intensity profiles of the monochromatic coherent nondiffracting beams are illustrated in Fig.1. The intensity pattern Fig.1a is obtained as a discrete superposition of plane waves. Result of the continuous superposition of the plane waves with the same amplitudes and phases is in Fig.1b. 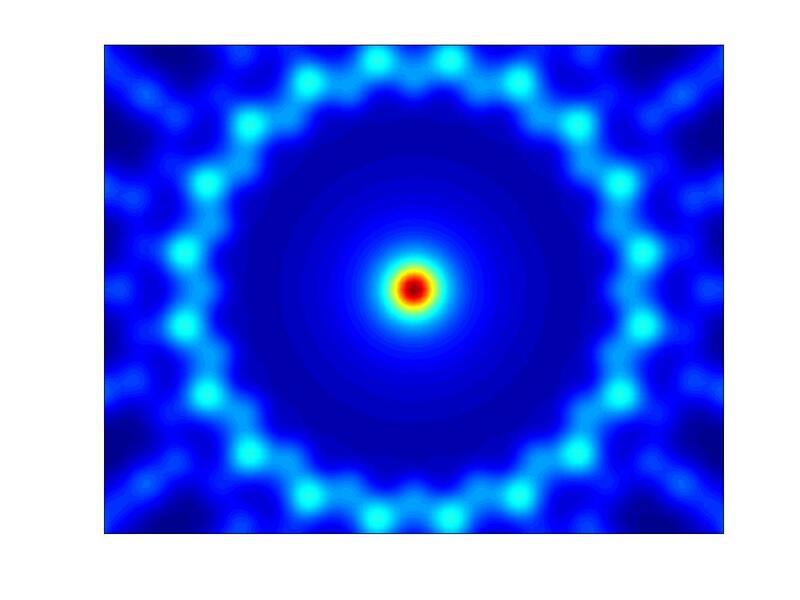 The illustrated beam can be described by the zero-order Bessel function of the firs kind J0. 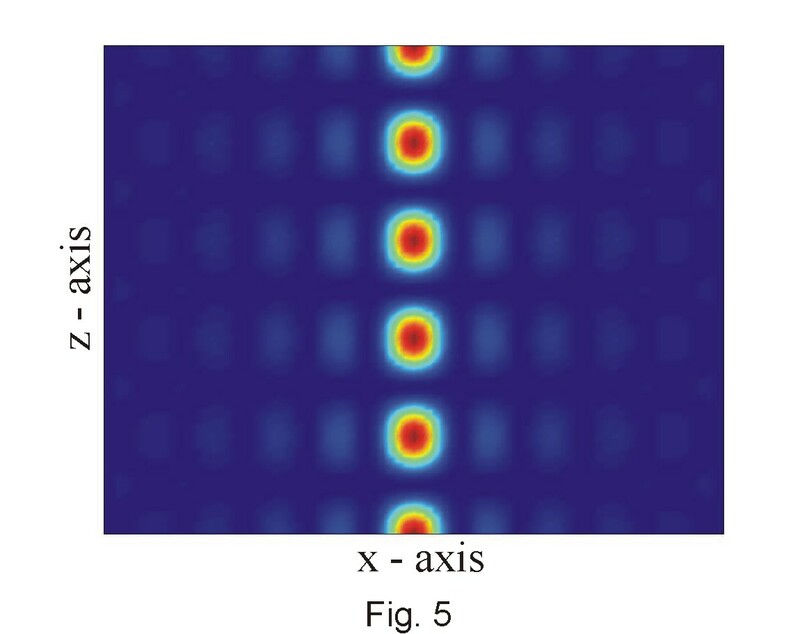 The dark beam Fig.1c appears due to the convenient phase modulation of the superposed plane waves and can be described by the first-order Bessel function J1. The transverse intensity profile of the experimentally realized J0 beam is shown in Fig.1d. 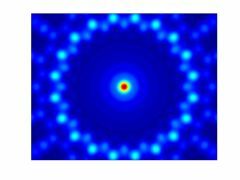 The nondiffracting beams exhibit interesting properties important for applications. Some of them are briefly reviewed. Energetic properties of the vectorial nondiffracting beams can be described applying the Poynting vector P. It can be decomposed into the transversal and longitudinal components P=PT+PL. Though the intensity profile of the beam remains unchanged during propagation the transversal energy flow can be in general nonzero. It is restricted by the condition div PT =0. This condition can be simply interpreted: The transversal energy flow is source-free, or, equivalently, the lines of constant transversal energy flow are closed curves. The transversal energy flow can be conveniently analyzed as a superposition of the radial and azimuthal components PT=PR+PA. For the one-mode nondiffracting beam PR=0. The electromagnetic energy then flows along the direction of propagation or has the spiral character. During last decade an increasing attention has been given to the wavefields possessing the line, spiral or combined wavefront dislocations. In optics, such fields are known as optical vortices. Some types of nondiffracting beams can also exhibit the wavefront singularities. The simplest nondiffracting vortices are Bessel beams. Their complex amplitude is given by u=Jm exp[i m arctan(y/x) - kzz ], where Jm is the m-th order Bessel function of the first kind and m and kz denotes the topological charge and the propagation constant of the beam, respectively. 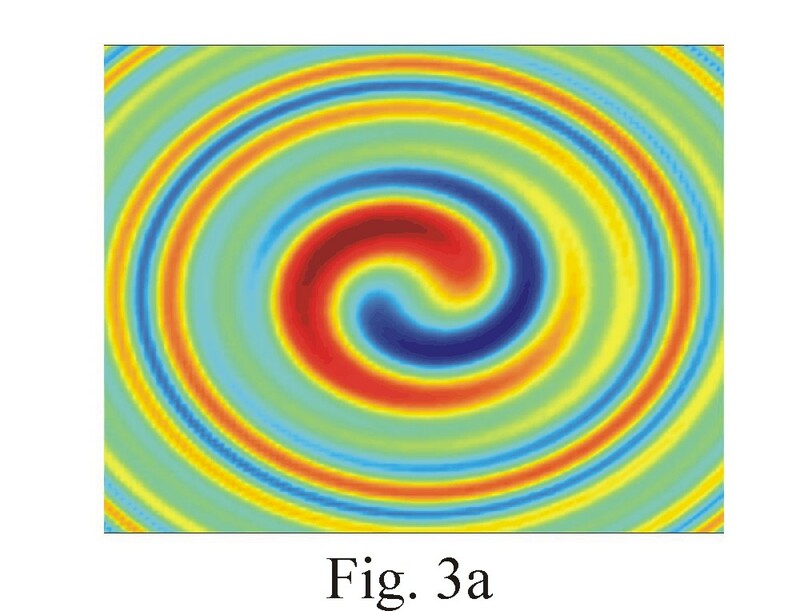 The helical wavefronts of the optical vortices with topological charges 1 and 2 are illustrated in Fig.2a and 2b. The phase singularities and wavefront dislocations can be identified by the interferometric methods. 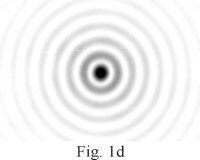 The interference of the optical vortex results in the spiral patterns. 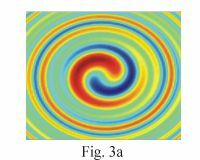 The numerical simulation for the optical vortex with the topological charge m=1 is illustrated in Fig. 3a. 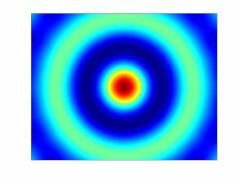 The pattern obtained by interference of the optical vortex with the plane wave possesses the typical fork-like form. It is shown in Fig. 3b for the topological charge m=1. An ideal homogeneous electromagnetic plane wave with the wave vector k is the electromagnetically transversal wave. Its transversality follows directly from divE=0 and divH=0 and can be expressed as k.E=0 and k.H=0. The amplitude of the real beam is not homogeneous so that the pure electromagnetic transversality cannot be achieved. Nevertheless, the electromagnetic field of the common beams, such as Gaussian beams, is nearly transversal. On the contrary, the nondiffracting beams can possess the longitudinal component of the electric field comparable with the transversal one. This property is a result of the special composition of the angular spectrum of the nondiffracting beams and can be applied to design of the electron accelerators. An important property of the nondiffracting beam is its resistance against amplitude and phase distortions. The transverse intensity profile of the nondiffracting beam disturbed by the nontransparent obstacle regenerates during free-propagation behind the obstacle. After certain distance, the initial transverse intensity profile is restored. The theoretical explanation of the effect based on application of Babinet's principle has been proposed and its experimental verification has been realized. The results of the experiment are presented in Fig.4. The pseudo-nondiffracting beam with the transverse intensity profile approximately corresponding to the zero-order Bessel function J0 is disturbed by the nontransparent rectangular obstacle (Fig. 4a). During free-propagation of the beam behind the obstacle its transverse intensity profile regenerates (Fig. 4b-d). As is obvious from Fig. 4d, the initial Bessel-like profile is restored with a very good fidelity. The angular spectrum of the ideal nondiffracting beam consists of the single radial frequency f0. It can be related to the propagation constant kz of the beam. The complex amplitude of the nondiffracting beam then can be written as u(x,y,z)=U(x,y)exp(-ikzz). The various nondiffracting modes can propagate with different propagation constants. Self-imaging effect appears in the coherent superposition of the nondiffracting modes if their propagation constants are conveniently coupled. The effect represents the spatial analog of the mode-locking realized in the temporal domain. Due to the interference of the modes, the transverse intensity profile of the beam reappears periodically at the planes of the constructive interference and vanishes at the planes of the destructive interference. 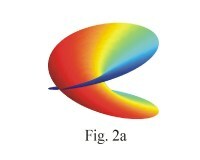 The intensity distribution of the two-mode field propagating along the z-axis is illustrated in Fig. 5. 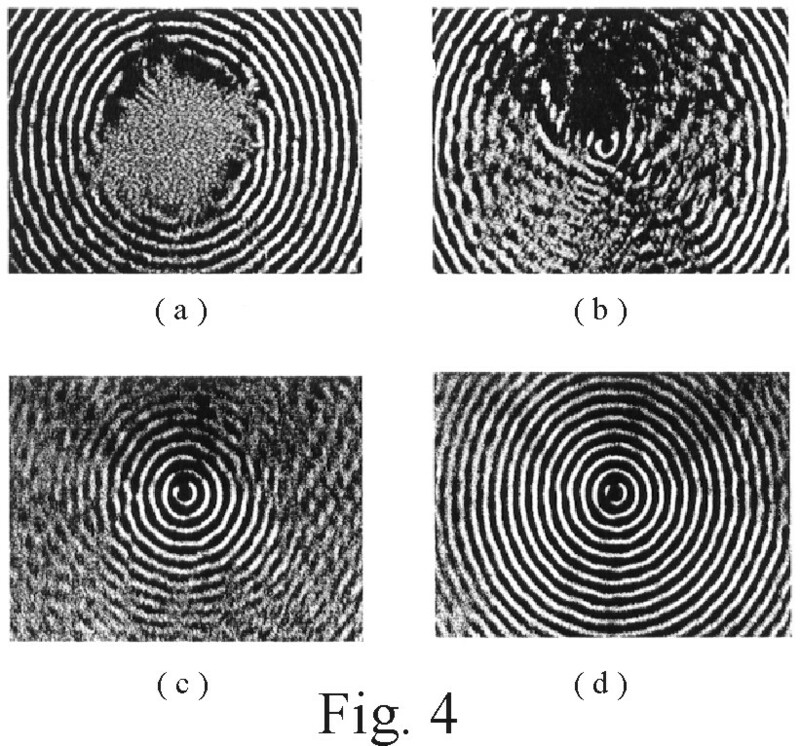 Diffraction effects can be overcome in free propagation of the source-free monochromatic wavefield described by the homogeneous Helmholtz equation. However, the ideal nondiffracting beams obtained as its solutions possess the delta-like angular spectrum and carry infinite energy. This is a reason, why the diffraction cannot be overcome in real situations, and why the nondiffracting beams cannot be exactly realized. In experiments, only their approximations known as the pseudo-nondiffracting (P-N) beams can be obtained. The P-N beams possess the finite energy and their propagation properties can be related to the properties of the nondiffracting beams transmitted through the aperture of finite dimensions or through the Gaussian aperture. It results in the spread of the angular spectrum. The delta-like angular spectrum related to the nondiffracting beam in front of the aperture obtains the form of the annular ring behind the aperture. 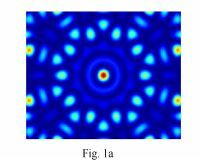 The spread of the angular spectrum is related to the width of the ring and is responsible for diffractive divergence of the P-N beam. Regardless of this fact, there are important distinctions between propagation properties of the P-N beams and the conventional, for example Gaussian beams. They are usually demonstrated in numerical simulations. Physical explanation and interpretation of the distinct behavior of the P-N and the conventional beams are still open questions. In recent time, a possible explanation formulated by means of the uncertainty relations has been proposed. It is based on the unique property of the angular spectrum of the P-N beams illustrated in Fig. 6. The P-N beams examined in the numerical simulation are obtained as the nondiffracting beams transmitted through the Gaussian aperture. The transverse intensity profiles of the nondiffracting beams impinging on the aperture are shown in Fig. 6a and 6c and their angular spectra behind the aperture in Fig. 6b and 6d, respectively. As is obvious, the change of the transverse dimensions of the input nondiffracting beam changes only the middle radius of the ring and its width remains unchanged. The spread of the angular spectrum (width of the ring) depends only on the size of the aperture. 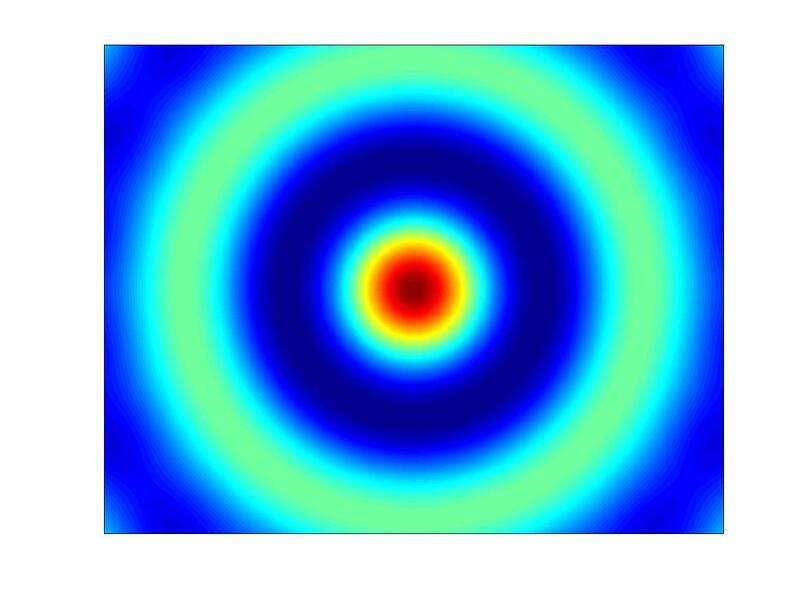 The diffractive divergence of the P-N beam is directly related to the spread of the angular spectrum. Due to this fact the diffraction of the P-N beam depends only on the size of the aperture and is independent of the transverse dimensions of the nondiffracting beam impinging on the aperture. In recent time it has been shown that the coherent light field with an arbitrary transverse amplitude profile can be transformed into the state possessing an ability of the periodical reconstruction. The transverse intensity profile appearing at the planes of reconstruction then represents a very good approximation of the initial intensity profile. The transformation required for appearance of the self-reconstruction effect is based on the decomposition of the initial field into the set of nondiffracting modes with conveniently chosen propagation constants. It can be simply realized in the 4-f optical system (Fig. 7) applying the convenient Fourier filter. It is realized as an amplitude mask transparent only at the set of concentric annular rings. The field to be periodicly reconstructed is decomposed into the set of nondiffracting modes if its spatial spectrum is modified by the mask at the Fourier plane. The proposed method was verified experimentally. The obtained results are illustrated in Fig. 8. The concept of the nondiffracting propagation of the stationary fields can also be generalized to the pulse propagation. The wideband pulslike nondiffracting wave packets are of particular interest for their applications in the ultrasound medical diagnostics. Optical applications of the nondiffracting pulses have also attracted attention. The dispersive temporal spread of ultrashort pulses complicates their application to the femtosecond spectroscopy and related fields. During propagation of the nondiffracting pulses the material dispersion can be eliminated due to the convenient composition of the spatio-temporal spectrum. It is formed by means of the generator whose dispersion is adapted to the material dispersion of the propagation medium. The nondiffracting pulses can be generated applying the holographic element, the so-called Lensacon. The required couplings of the spatial- and temporal-frequency spectra resulting in the vectorial nondiffracting pulses have also been analysed. This topic is open to further research. 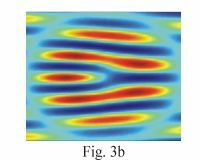 The self-reconstruction concept applied to the monochromatic field has been generalized to the spatio-temporal self-reconstruction of the wave packets fulfilling the wave equation. The effect is based on the sampling of the spatial spectrum of the wave function and on its coupling to the temporal frequency spectrum. The predetermined spatio-temporal profile of the wave function is approximately reconstructed at the periodic spatial intervals along the propagation direction. If the temporal frequency spectrum of the field is not continuous but discrete, the periodicity appearing in both the spatial and temporal evolutions can be achieved. The reconstructed field then simultaneously exhibits propagation properties known as the self-imaging and the mode-locking. Application of the uncertainty relations and the ambiguity function to the pseudo-nondiffracting beams. 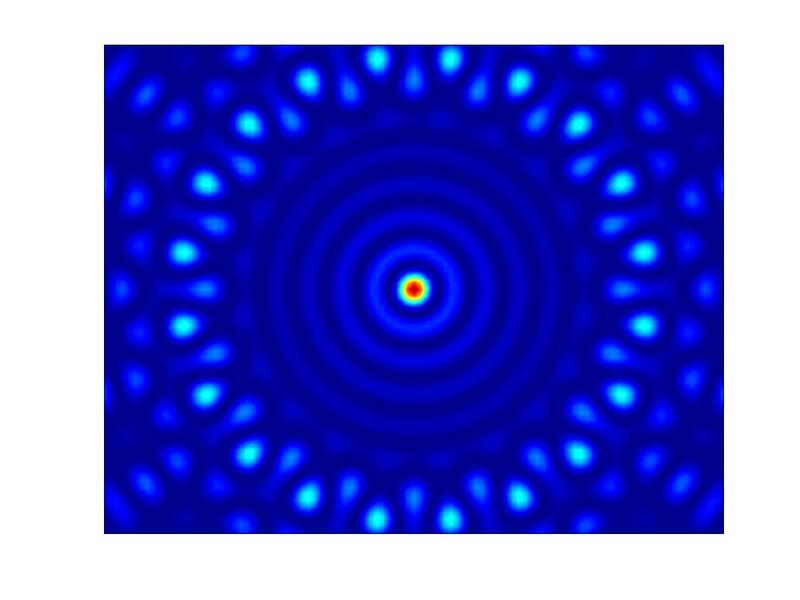 Theoretical description and experimental realization of the partially coherent nondiffracting beams. Analysis of the propagation properties and of the spatio-temporal couplings of the nondiffracting pulses. Application of the nondiffracting modes to the direct image transmission in optical fibers. The transverse intensity profiles of the nondiffracting beams depend on their spatial coherence. Numerical simulation of the nondiffracting beams generated by means of the Gauss-Shell source illustrates the intensity profiles for the degree of spatial coherence changing from 1 (left upper figure) to 0 (right bottom figure). M. S. Zolotorev, K. T. McDonald, Am. J. Phys. 68, p. 674, 2000. A. Papoulis, J. Opt. Soc. Am. A 11, p. 3, 1994. J. E. Durnin, J. Opt. Soc. Am A 4, p. 651, 1987. F. Gori, G. Guattari, C. Padovanni, Opt. Commun. 64, p. 491, 1987. S. Chavez-Cerda, G. S. Mc. Donald, G.H. C. New, Opt. Commun. 123, p. 225, 1996. M. R. Lapoint, Opt. & Laser Tecnol. 24, p. 315, 1992. J. Lu, J. F. Greenleaf, Acoustic Imaging 20, p. 331, 1993. A. M. Shaarawi, I. M. Besieris, R. W. Ziolkowski, Phys. Lett. A 188, p. 218, 1994. R. Arimoto, C. Saloma, T. Tanaka, S. Kawata, Appl. Opt. 31, p.6653,1992. K. M. Iftekharudin, M. A. Karim, Appl. Opt. 23, p. 4853, 1992. T. Wulle, S. Herminghaus, Phys. Rev. Lett. 70, p. 1401, 1993. H. Sonajalg, P. Saari, Opt. Lett. 21, p. 1162, 1996. R. Piestun, Y. Y. Schechner, J. Shamir, J. Opt. Soc. Am. A 15, p. 3039, 1998. S. Chavez-Cerda, G. H. C. New, Opt. Commun. 181, p. 369, 2000. J. Salo, J. Fagerholm, A. T. Friberg, M. M. Saloma, Phys. Rev. E 62, p. 4261, 2000. M. A. Porras, R. Borghi, M. Santarsiero, J. Opt. Soc. Am. A 18, p. 177, 2001. D. Mugnai, Opt. Commun. 188, p. 17, 2001. Z. Bouchal, Dependence of Bessel beam characteristics on angular spectrum phase variations, J. Mod. Opt. 40, p. 1325, 1993. 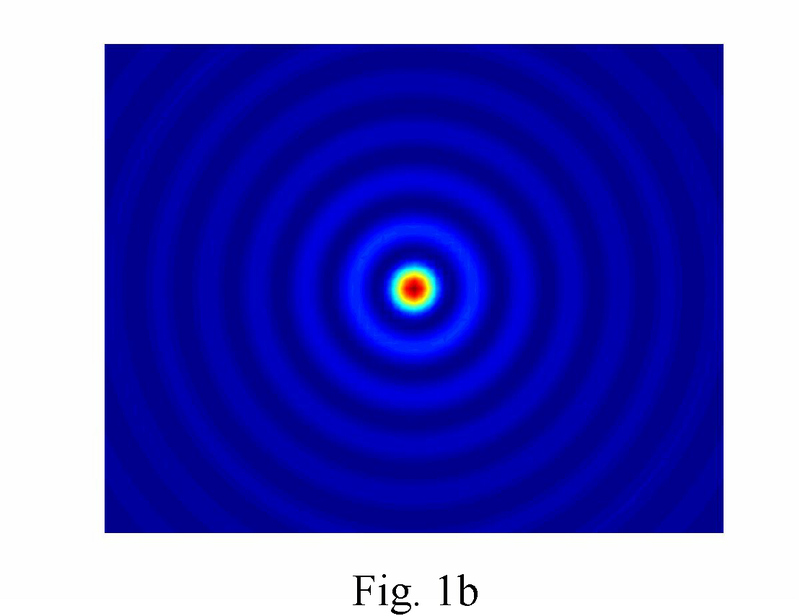 Z. Bouchal, M. Olivik, Nondiffractive vector Bessel beams, J. Mod. Opt. 42, p. 1555, 1995. Z. Bouchal, J. Perina, R. Horak, Correlation properties of propagation-invariant fields In: Coherence and Quantum Optics, Proceedings of 7-th Conference on Coherence and Quantum Optics, Rochester, 1995. Z. Bouchal, J. Wagner, M. Olivik, Bessel beams in the focal region, Opt. Eng. 34, p. 1680, 1995. Z. Bouchal, R. Horak, J. Wagner, Propagation-invariant electromagnetic fields: Theory and experiment, J. Mod. Opt. 43, p. 1905, 1996. J. Bajer, R. Horak, Nondiffractive fields, Phys. Rev. E 54, p. 3052, 1996. R. Horak, Z. Bouchal, J. Bajer, Nondiffracting stationary electromagnetic field, Opt. Commun. 133, p. 315, 1997. Z. Bouchal, J. Wagner, M. Chlup, Self-reconstruction of a distorted nondiffracting beam, Opt. Commun. 151, p. 207, 1998. Z. Bouchal, J. Bajer, M. Bertolotti, Vectorial spectral analysis of the nonstationary electromagnetic field, J. Opt. Soc. Am. A 15, p. 2172, 1998. 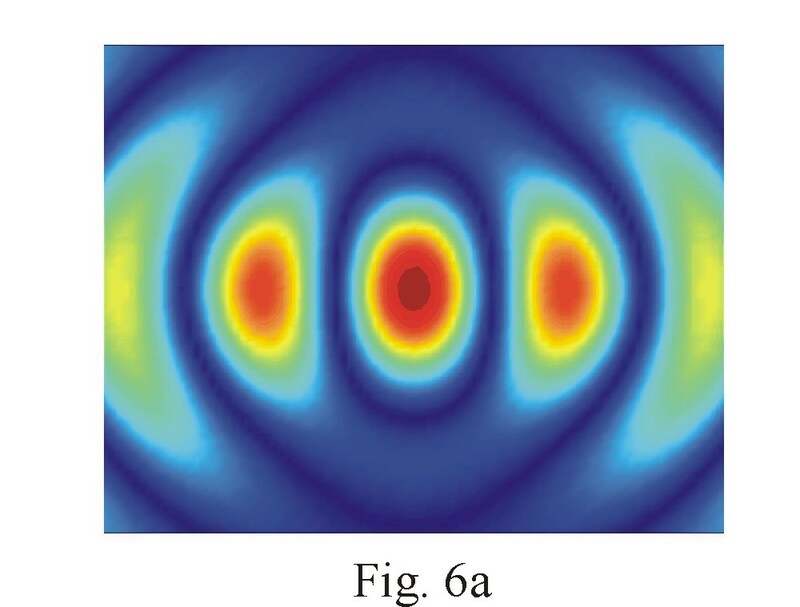 Z. Bouchal, J. Wagner, Self-reconstruction effect in free propagation of wavefield, Opt. Commun. 176, p. 299, 2000. J. Wagner, Z. Bouchal, Experimental realization of self-reconstruction of the 2D aperiodic objects, Opt. Commun. 176, p. 309, 2000. Z. Bouchal, M. Bertolotti, Self-reconstruction of wave packets due to spatio-temporal couplings, J. Mod. Opt. 47, p. 1455, 2000. 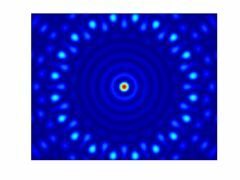 Z. Bouchal, J. Wagner, Nondiffracting beams, Fine mech. and opt. 45, p.317, 200 (in Czech). 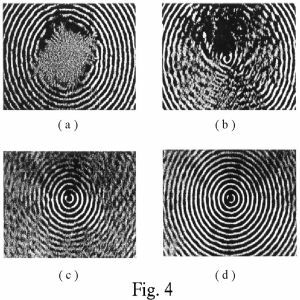 Z. Bouchal, R. Horak, Fidelity of the periodical self-reconstruction of wavefield, J. Mod. Opt. 48, p. 333, 2001. Z. Bouchal, Self-reconstruction ability of wavefield, In: Wave and Quantum Aspects of Contemporary Optics, Proc. SPIE, 4356, p. 217, 2001. Z. Bouchal, Uncertainty relations for pseudo-nondiffracting beams, Opt. Commun. (submitted).